Good location for flight layover. Clean spacious room. Great breakfast. Shuttle service to airport. Front desk staff excellent, responsive, and helpful. Room was comfortable for 3 people and larger than expected. Windows opened which was very nice. Good food when we arrived very late, large comfortable room and good breakfast. Hotel was great! 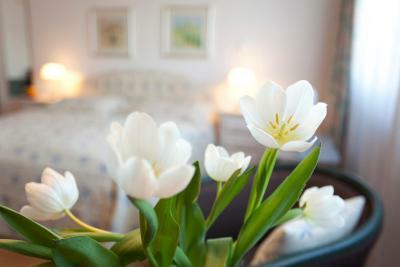 Located in a small community, it had a beautiful rustic charm with a very accommodating staff. This was much different than the 'city' hotels and was especially relaxing prior to our return to the USA. The room provided all our necessary needs. The rustic dining area and the meal were very relaxing after a week of hectic driving on the very 'all under repair' roadways! Of course, breakfast was quite a spread full of delicious foods and so beautifully presented. A wonderful closing for our touring in Germany! The facilities were adequate and the restaurant was good . Very quiet and clean neighborhood . The staff was helpful and met out needs. 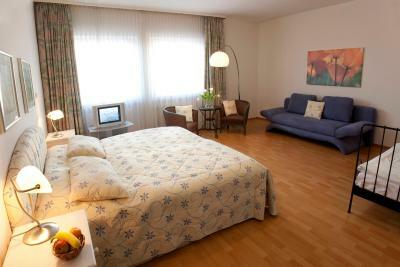 Quiet and comfortable stay, at a decent location. It has some good eating out options nearby and a supermarket next door. Helpful staff, and a very convenient shuttle service for the airport. Easy access to / from airport. Nice quiet town next to a working canal with swans, ducks, geese. Good park for kids - my 10-year old loved the zip line and other items. Supermarket nearby. Mideast food as well. Located in a village (stores, bakery, restaurants, etc.) 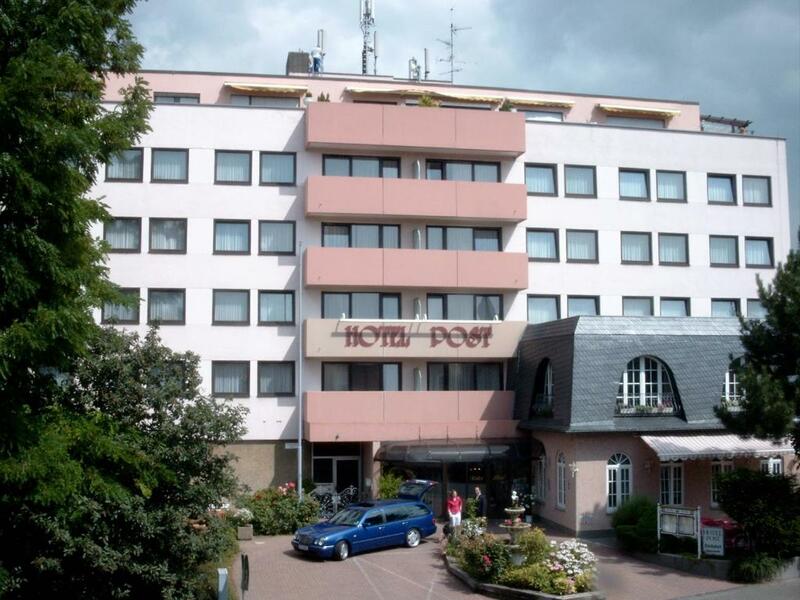 close to Flughafen Frankfurt, much better than the usual airport area hotel setting. Large room, free parking, excellent breakfast buffet. TOP Hotel Post Frankfurt Airport This rating is a reflection of how the property compares to the industry standard when it comes to price, facilities and services available. It's based on a self-evaluation by the property. Use this rating to help choose your stay! 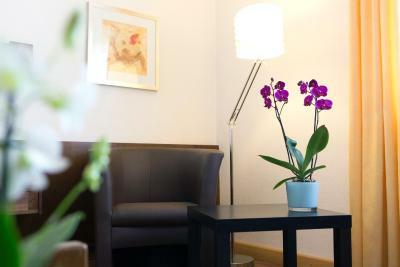 One of our top picks in Frankfurt.This TOP Hotel is located in the Sindlingen district of Frankfurt. 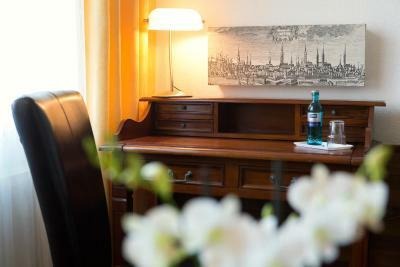 Frankfurt city center is a 12-minute drive away. 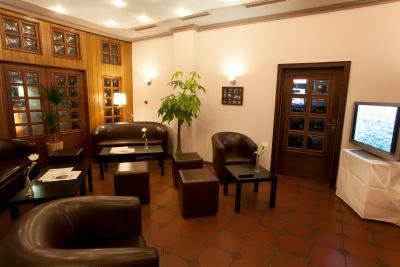 The TOP Hotel Post’s restaurant serves regional specialties and international dishes in the evenings. 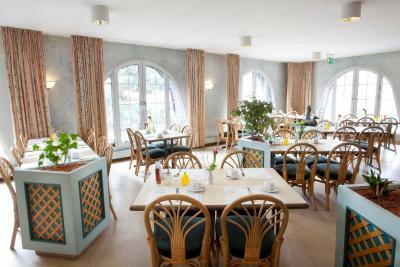 A breakfast buffet is prepared each morning. 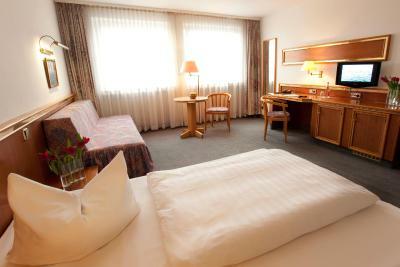 The TOP Hotel Frankfurt offers an airport shuttle service daily from 07:00 to 22:00. 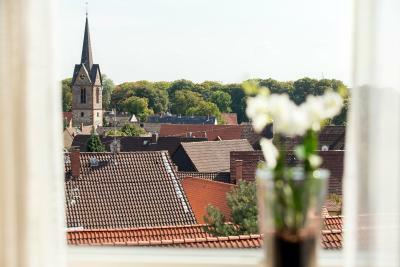 Sindlingen City Rail Station is a 10-minute walk from the hotel, with direct links to Frankfurt’s city center. The River Main is 1,650 feet from the hotel. 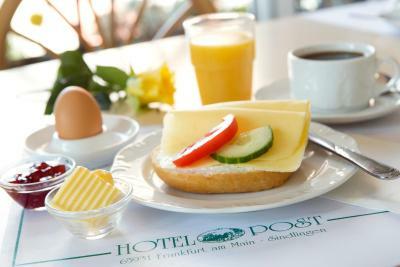 When would you like to stay at TOP Hotel Post Frankfurt Airport? This very spacious room features a desk, small reading area and a private bathroom with a bathtub and toilet. This spacious, family-friendly non-smoking room has a sofa bed. Up to 5 guests can stay in this room, but only upon prior request (see Policies). This room features a desk, small reading area and a private bathroom with a shower and toilet. 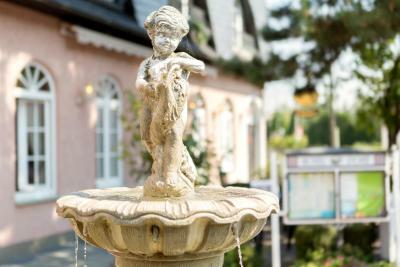 House Rules TOP Hotel Post Frankfurt Airport takes special requests – add in the next step! 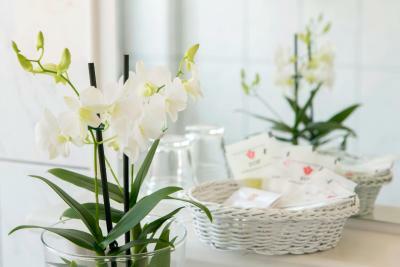 TOP Hotel Post Frankfurt Airport accepts these cards and reserves the right to temporarily hold an amount prior to arrival. 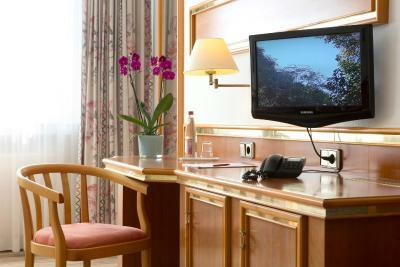 The TOP Hotel Frankfurt offers a daily airport shuttle from 07:00 to 22:00. Airport pick-up is free of charge, while drop-off costs EUR 5 per person. 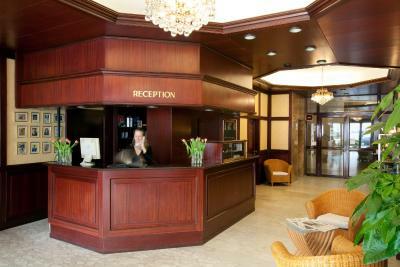 Upon arrival, guests are asked to call the property again to inform them the exact pick up location/exit. This usually takes around 15 minutes. For contact details please see the booking confirmation. No airport shuttle service is available outside of these times. An open parking space can be used for free while guests are staying in the hotel. Guests can also leave their car for longer for a charge of EUR 4 per day. Alternatively, guests can use the secure garage for EUR 7 per day. Please note from 01 January 2018 the city Frankfurt takes a tourism fee of EUR 2 per person per night. This fee is not included in the rate and need to be paid additionally in the Hotel. Business travelers are exempted from this fee when showing an adequate verification. It looks a bit old, but, that is as it is, and functionnal. Parking was awful and location is not close to the airport. Evening staff not very helpful nor friendly. No water to drink or coffe maker in the room. 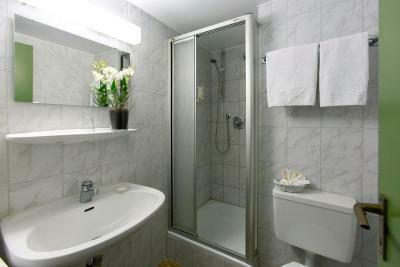 Clean and close to the airport.Shuttle service. Good breakfast. The rooms look like they were first decorated in 1980 and not touched since! The room had a PLASTIC laminate floor. 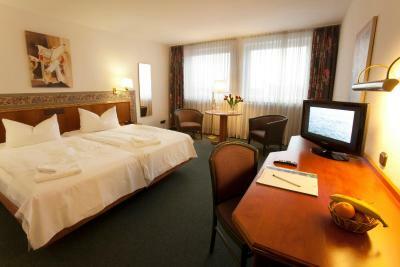 Because there was an event on at the Messe, the room was €160 for one night!! This was terrible value. Frankly the price was outrageous for the offering. I guess the city was full but I would only go back if I was paying a half of what I paid this time (180 euros). 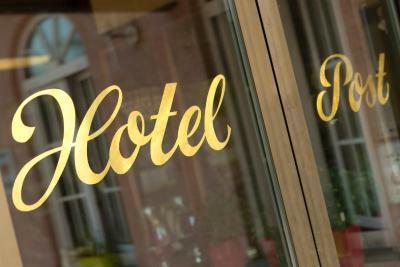 The hotel was fine for what it is, in a place close to the airport and the shuttle service is good and well organised. It is nothing special, but much better than basic. Clean and quiet. Good breakfast. It was very well located. The room was very basic. Minimal effort was made to make it comfortable. Bathroom needs updating. No bedside lights or piwer points. Weird mismatched decor. Uncomfortable pillows. No spare pillows or blankets. Felt like a youth hostel or a dormitory. Maximum profit for minimal effort on the part of the hotel.